Made From Original Factory Blue Prints Using Original Wire Colors, Correct Gauge, & All Original Wire Connectors. Ships direct from supplier. 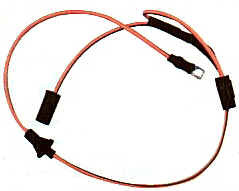 132870 67 Tachometer wiring harness complete, includes grommet where harness passes through firewall to engine compartment. 132885 67-68 Under Dash Wiring Harness. Specify Year & If Gauge Dash or Idiot Lights. Ships direct from manufacturer. 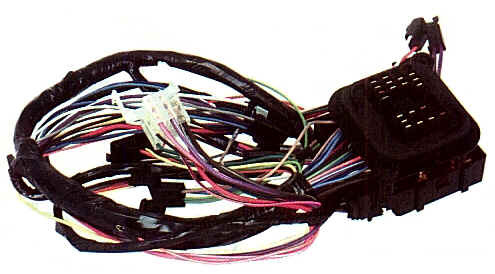 238911 67-68 Under Dash Wiring Harness. Specify Year & If Gauge Dash or Idiot Lights. Ships direct from manufacturer. 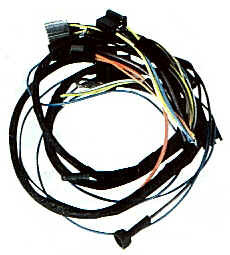 238930 69 Under Dash Wiring Harness. Specify If Gauge Dash or Idiot Lights. Ships direct from manufacturer. 238935 69 Under Dash Wiring Harness. Specify If Gauge Dash or Idiot Lights. Ships direct from manufacturer. 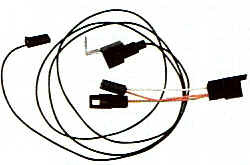 238941 1970-1972 Under Dash Wiring Harness. Plug and play, 100% exactly like original with all factory electrical connectors, wire wraps, colors, gauge of wire, etc.... Specify Year and If Gauge Dash or Idiot Light instrument cluster in cart. Ships direct from manufacturer.